What is the current status of the supply chain? 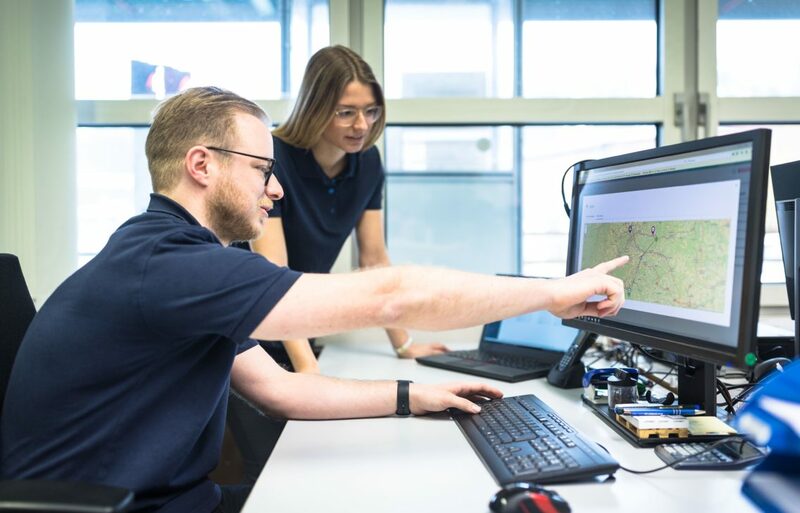 The connected logistics team of Matthias Hülsmann is passionate about making life easier for logistics staff with the IoT. In this interview, Matthias explains how the team puts this mission into practice, shares outcomes from various projects, and what is unique about this pragmatic real-time logistics approach. Matthias Hülsmann The supply chain currently shows enormous potential for improvement. As opposed to many manufacturing processes, logistics tasks are often performed manually, paper-based and without interoperable IT integration. As a result, process efficiency and utilization of logistics assets cannot be measured and, consequently, not managed properly. Real-time material flow data is not available, people waste time with searching, booking, scanning and counting of logistics objects. The idle times of forklifts can amount to 80%, while periodic transports like milk runs are empty in 50% of the time and trucks on European roads have up to 30% of empty tours. Honestly, the waste of resources and the level of stress in the supply chain due to a lack of transparency is appalling. Matthias Hülsmann My teams at Bosch Connected Industry work like agile start-ups within the organization. We digitize the material flow in a pragmatic way: we start with the biggest pain points that cause manual processes, low asset utilization and stress for logistics people. Together with operative logistics, we define how to improve the user story and identify a lean way to capture IoT data from the material flow. We enable real-time steering of the material flow with IoT data and services on dashboards or customer applications, so that the benefits exceed the costs of the solution. Gateways at relevant milestones deliver reliable, low-cost, real-time IoT data of the material flow. We create value with real-time IoT services that eliminate the time delays from ERP or other systems. People spend less time with searching and booking of material due to automated and reliable bookings. Coordination of the material flow and its deviations between partners gets transparent. Capacity and transport planning, material availability and resource deployment can be done more efficiently based on reliable IoT data services, that reduce waste of resources and improve service and quality levels. What is so innovative about your approach? Matthias Hülsmann (MBA) is Vice President at Bosch Connected Industry, Bosch’s new operating unit for Industry 4.0 software and services. Over the past 16 years, he was responsible for controlling, finance and supply chain management in different positions and in four different countries. After four years of heading an Italian legal entity and plant of the Bosch Group, Matthias Hülsmann joined Bosch Connected Industry in October 2016 to develop the business area Connected Logistics. As supply chain expert, he leads agile start-up teams to develop and successfully implement pragmatic real-time logistics solutions that make life easier for logistics people. Matthias Hülsmann Digitization projects do not necessarily lead to immediate improvements of the bottom line. We have set ourselves the goal of making digitization a profitable business for our customers right from the start. For us, the IoT is not only about technology innovations. It is about how to generate added value in the complex logistics processes with IoT data. Our approach aims at generating a payback for our customers within only two years. Our service focuses on the value-add in the user story. It captures IoT data from the material flow in a lean way; it offers an easy implementation and standard interfaces into existing information flows; it deploys the adequate IoT technology for reliable, low-cost, real-time IoT data and is a managed IoT service with extendable IoT architecture. In fact, we use all different kinds of IoT technology to connect the material flow and make digital twin data transparent in real time. Only when the real-time services make life easier for logistics staff in the process, we can speak about real innovation. Our pragmatic real-time logistics approach makes this possible. Logistic planners save time and effort with real-time transparency of freight and transports. Matthias Hülsmann Let’s take a look at idle times of logistic assets. We digitize forklifts or milk runs to make location and condition data available in real time. The visualization of the data in drive maps, utilization KPIs and heat maps delivers the tools for improvement. Additionally, we collect transport demands from different systems like ERP, MES or WMS to optimize the utilization of the transport fleet by assigning transport orders to the best available vehicle. 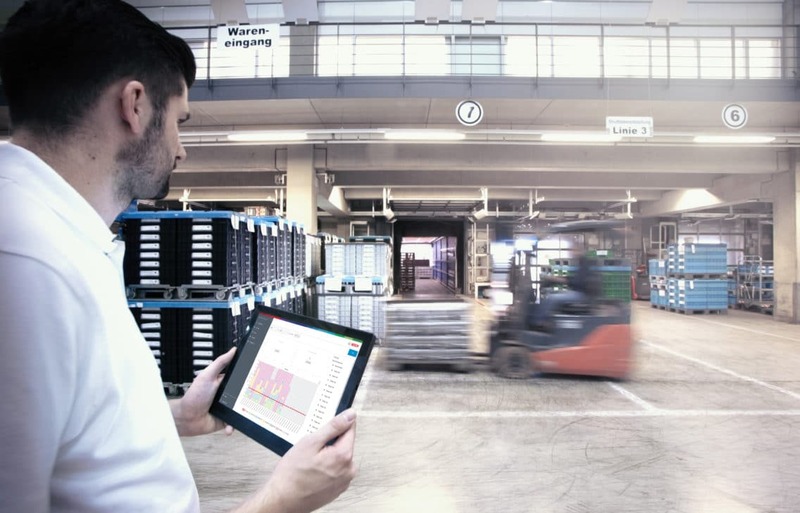 These real-time services make life easier for the forklift or milk run driver: he has less scanning effort, less risk of accidents due to speed limit zones and less hassle with order handling because the tablet on his asset shows the next orders and tasks in real time. The user interface on the tablet of our transport management, for example, was designed together with milk run drivers. The asset utilization in our projects increases by up to 22%, the ROI is below two years. 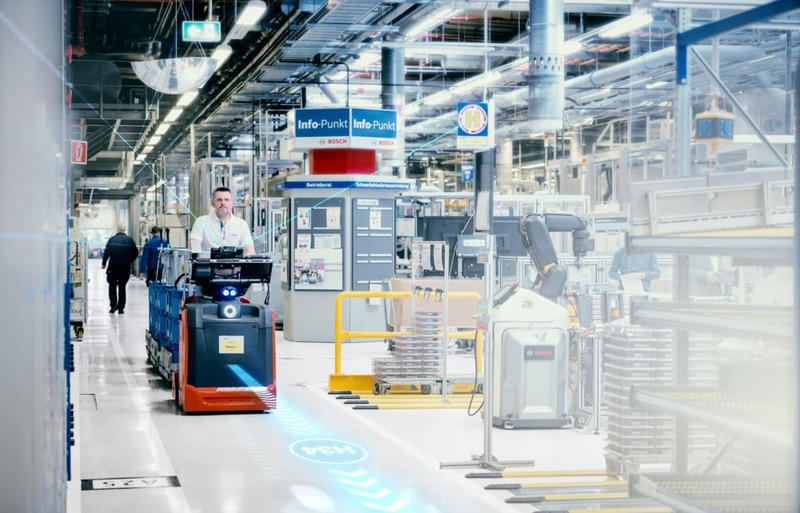 With Nexeed Intralogistics Execution we also connect different AGVs (Automated Guided Vehicles) to enable an optimized steering of the intralogistics material flow and transports. Another example is returnable management. Some of our customers have large amounts of boxes bound in material loops with external suppliers and customers. The management of the deliveries and the return logistics of boxes requires high efforts in searching, booking and stock keeping. Additionally, there are always some boxes missing, which makes life stressful for the staff involved, who must re-invest in new boxes regularly to keep the asset loop going. 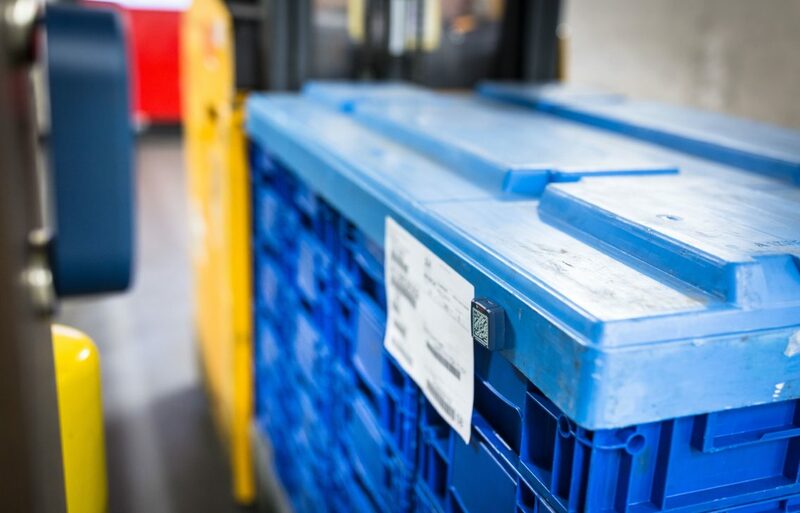 We offer a remedy by digitizing the boxes with wireless sensors and connecting these sensors to the cloud with mobile smartphones or gateways. By doing so, we can locate and monitor the assets in real time. Geofences make it possible to automate the bookings and provide transparency to all supply chain partners via the cloud. This reduces efforts and re-investments substantially and leads to a quick payback of the project. Transport management orchestrates routings of digitized milk runs and AGVs. In addition to box tracking, the same system can be applied to individual packages. With our Nexeed Track and Trace solution, we provide information about the transported goods and their condition in a multi-modal supply chain. The main point about all our projects is to use the available IoT technology in the right way – and to establish pragmatic transparency across the supply chain, for instance at important milestones like hubs, airports or terminals. Applied in this sense, the IoT has the potential to revolutionize logistics. How will this logistics revolution be accomplished? Matthias Hülsmann It will happen step by step. Obviously, technology does not improve a process as such. This is especially true in the complex material and information flow of the logistics ecosystem. Pragmatic real-time logistics projects put the material flow back into the center of the logistics activity. They eliminate inefficient look & see processes like searching, booking and inventory efforts, because the data is there right on your screen or touchpad when you need it. This is what fascinates logistics people in our projects – the transparency and the real-time effect. For me, this is very rewarding: making customers’ lives easier and seeing how the community of pragmatic real-time logistic people increases rapidly. This way, we can revolutionize the current paradigm of the supply chain with real-time IoT data step by step. Utilization gets measurable and optimized for logistic assets with Fleet Analytics. What is your outlook for the near logistics future? Matthias Hülsmann The experience of more than 30 projects shows that, once started, more ideas from the operative staff, and more additional benefits emerge, while we increase both the scope and the regional level. The savings in the initial step relate to the automation of processes. However, major resource savings or additional value propositions occur in further digitization steps: when reliable event data is shared, interaction between partners is facilitated, structural improvements are generated by big data analyses, and AI-algorithms allow a close-to-perfect anticipation – the dream of any fulfillment organization. This is the vision that keeps our connected logistics team moving. Pragmatic real-time logistics is our way to provide IoT data and services for the data revolution of the supply chain. We are convinced that IoT data and fascinated people are the drivers of this “bottom-up” IoT logistics revolution. The post What pragmatic real-time logistics is all about appeared first on Bosch ConnectedWorld Blog.